To infinity, and beyond! Actually, just to space. And so, where is space? This excellent poster illustrates the proportion of Jet Flight (10 miles) to "space" (60 miles or so, by convention), to low Earth orbit (500-1,000 miles), to GPS satellites (12,000 miles), to Geosynchronous orbit (22,000 miles). And the ratio of those to the Moon (230,000 miles). 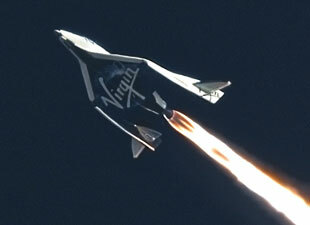 I happened upon this while reading about the latest flight by Virgin Galactic, in which they reached that 10 miles mark. Not to take anything away from them, but they have a ways to go before reaching "space", even at the most generous definition of 60 miles. Still they made it, and made it back, and they're making progress. More power to them!